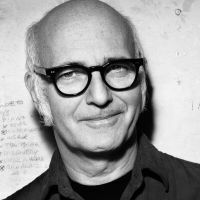 Ludovico Einaudi in Montreal or Quebec City? Inform me about the next events for Ludovico Einaudi. Enroll yourself to our priority waiting list for Ludovico Einaudi to be alerted when new tickets are available. Filling this form doesn't engage you to any purchase. Ludovico Einaudi is a renowned Italian pianist and composer. Classical music lovers will have the chance to see him at work at the Montreal Bell Centre on July 4th, 2018. You may recognize Ludovico Einaudi with his interpretation of the song ''Elegy for the Artic''. The latter had impressed the gallery installed on a floating platform in the middle of the Arctic Ocean with his piano to support Greenpeace and the Operation Save the Artic. The music of Ludovico Einaudi thrills everyone. His greatest successes have also been heard in several films such as Black Swan, Intouchables and even Mommy.